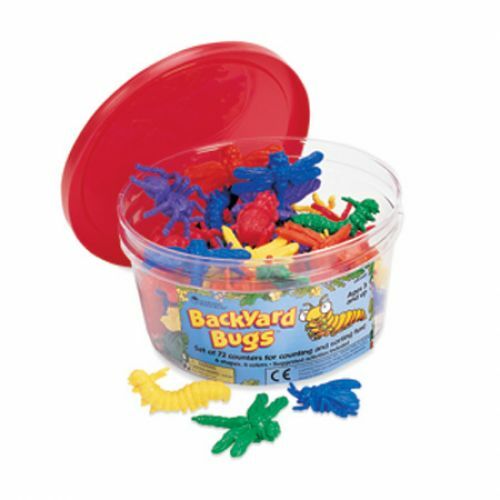 These colorful creepy, crawly counters turn sorting and counting activities into fun adventures. Set of 72 includes grasshopper, bumblebee, beetle, spider, dragonfly and caterpillar. Soft rubber counters come in six colors and are packaged in a reusable storage bucket. Also make unique party favors!